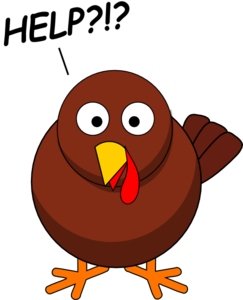 Happy Turkey Day – What’s on the table? Cotes du Rhone (either a blanc or a rouge) – you can pick up a well made cotes du rhone for between $12-17. 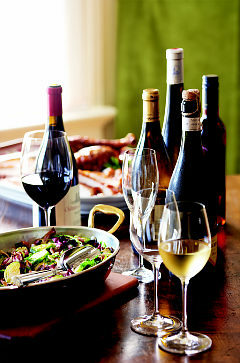 Viognier – a fruity, well balanced viognier will like the turkey and stuffing on your table. A good one will run you $15 and up. Gewurztraminer – crisp, but slightly sweet from its naturally high sugar. This white is a crowd pleasing wine, particularly for families that have folks used to drinking those sweeter wines. I’ve seen nice bottles for $8-12, and you can get good local wines in the #FLX, #OHwine and #PAwine regions. And lastly… there are so many flavors on our holiday table, I probably couldn’t pick just ONE wine that would blend with everything. So my suggestion is pick a wine that fits your palate and your budget, and just enjoy it. With the friends, family and festivities surrounding Thanksgiving – everything is going to taste good. Wine is always better when paired with laughter and good conversation. Don’t worry about it. Just enjoy. And support your local wineries and craft breweries for the holiday. Small business keeps our economy going! Posted in pairings and tagged drink local, drinklocal, NYwine, Ohio wine, thanksgiving, Wine for holiday meals. Bookmark the permalink. 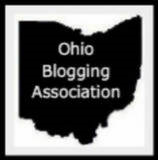 Today is the Ohio Blogging Association‘s November Blog Swap. As part of it, I’m happy to introduce you to Amanda from Clue Into Cleveland. On this day, bloggers from around the Northeast Ohio area are guest posting on one another’s blogs as a way to get to know each other and our blogging community. For a full listing of blog swap participants, please visit Poise in Parma today. Good morning, Miss WineOH readers! My name’s Amanda from Clue Into Cleveland and I’m thrilled to kick off this week swapping blogs with Miss WineOH. In addition to sharing a love of wine, I also lived in Virginia once upon a time. After moving to Philadelphia for a few years, my job took me to Cleveland and I fell in love with the city. From amazing arts to delicious food, there are so many reasons to explore this beautiful city on Lake Erie’s shores. And in keeping with both my and Miss WineOH’s interests, I figured I’d share some of my favorite wine bars to check out in Cleveland. When I first moved to Cleveland, the Market Avenue Wine Bar was the first place I visited in the historic Ohio City neighborhood. Tucked down the side street of Market Avenue, it’s a cozy retreat for wine lovers. As you first walk in the door, the dark wood of the front room envelops you instantly. And the tasting room in the back is filled with antique lounges and chairs – creating an eclectic and comfortable vibe perfect for special events and parties. Market Avenue’s selection of wines is amazing – with their website boasting over 700 offered by bottle and 75 by glass. They also offer a selection of small plates made from ingredients found at nearby West Side Market. The best part is their customer service. The staff is always knowledgeable. If you’re like me and not sure what to order, they’ll help you narrow down your choices or pick something to suit your tastes. And more importantly they do it without any pretension. The last time I visited was for Miss WineOH’s Wine and Cupcakes Tasting. While I was there, I sampled their Spann Chardonnay Viognier – a pleasantly surprising experience that made me rethink my opinion of Chardonnay. Because they also sell their wines at $10.00 off list price, I snapped up a bottle to enjoy at home. A few years ago, knowing my love of wine, my friends hosted a bachelorette party for me at D’Vine Wine Bar. Located on W. St. Clair, it is a convenient walk from most places in Downtown Cleveland. When I want to people-watch but also avoid dealing with the craziness of W.6th, D’Vine is an excellent choice. The expansive main room is beautifully lined with brick and stone walls and huge windows that look out on the street. I love D’Vine Wine Bar for its selection of flights. There are 15 flights to choose from and each flight features four 2 oz pours. For fans of red wines, there are flights like Passionate Pinots, Merlot vs Cabs and Red Royalty. For those of us who drink white, there’s Shades of Sweetness, Food Friendly Whites and ABC…Anything But Chardonnay. And you can take a tour of Italy without worrying about airfare by ordering their Trip Around the Boot Flight. 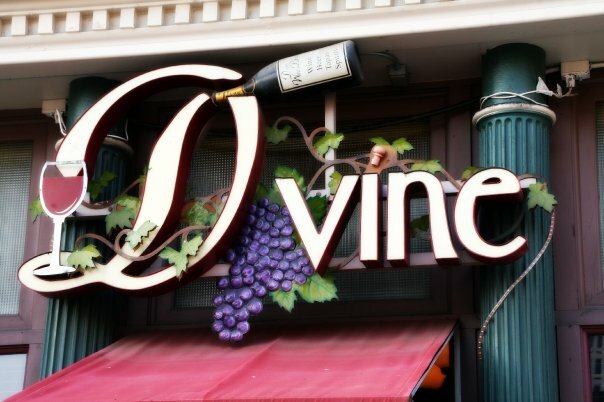 To pair with their wines, D’Vine offers a menu that includes sliders, pizza and – my personal favorite – baked brie puff pastries. 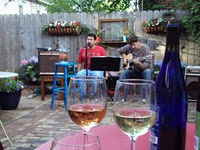 Grotto Wine Bar opened in Shaker Square right after I moved from the neighborhood, so sadly I’ve only been there once. I say sadly because I enjoyed the experience so much that it put them on my top 6 list. I wish it was still just a few steps from my front door. Grotto has won the Wine Spectator Award of Excellence two years in a row. The stone fireplace, wood beams and old-world villa decor are a fitting match to the restaurant’s Italian menu. As part of the Salerno family of restaurants with Little Italy’s Gusto and Tremont’s Lago, the quality of their food fits right in with Shaker Square neighbors Fire, Sarava and Sasa. 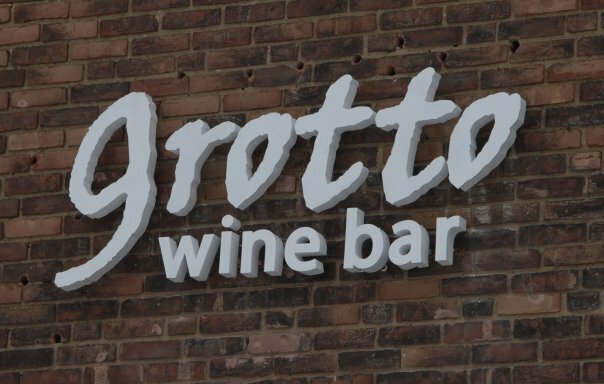 However, this is a post about wine and for those who want variety, Grotto is a must-stop in Cleveland with more of a wine book than wine list. The 10+ pages of wine are available for download prior to a visit, though I prefer to let the 1000-bottle wine cellar inspire me when I get there. As a bonus, with Shaker Square Cinemas right down the block, I can catch a movie on Tuesday nights and then save 10% off my bill at Grotto with a ticket stub. Hidden in the basement of a building on Coventry, hunting down La Cave du Vin is for the Indiana Jones of wine drinkers. But when you navigate its labyrinth, you’re well-rewarded. I love this bar because my moods change quickly – one moment I’m in the mood for a glass of wine, the next I want a beer. At La Cave du Vin, I can jump between lists and enjoy excellent choice and quality for both (in 2010, they were rated among the top 25 beer bars in the world by RateBeer.com). They also serve my favorite cheese board, hands down. Their Brie and Blue board features triple cream brie and Carr Valley “Billy Blue” goat’s milk blue cheese, dark Belgian chocolate, an assortment of dried fruit, and roasted figs. If that doesn’t sound appetizing, their Edibles menu offers a variety of other cheese and meat boards, as well as olive tapenade and antipasti platters for sharing. Although the service can occasionally be slow when the bar is crowded, hanging out in this unique space and leisurely enjoying a quality drink make up for it. If you like to curl up with a book while you drink your wine, Tremont has a quirky bookstore where you can do just that. Visible Voice Books is one of Cleveland’s handful of locally owned independent bookstores. Offering both new and used books, it’s a wonderful place to browse the shelves and discover a new author or book. In addition to unique events like Tremont ArtWalk showings and Classic Radio Nights, Visible Voice Books offers a selection of wine to enjoy in the shop or outside in their courtyard.The wine bar features wines from small, privately owned wineries with a focus on organic wines and those grown on sustainable farms. They also offer seasonal highlights.Although their wine list is not as long as the other wine bars in this post, I can think of only a few things more relaxing than hiding out with a glass of white wine and a book about Cleveland. There’s so much for me to still explore in Cleveland – and that includes wine bars. Between recommendations from friends and honors like Cleveland Magazine’s Best Wine Bar and the Best of the West’s best patio dining and wine tasting, the Wine Bar Rocky River is next on my list. On top of an appetizing wine list, they also offer full lunch, dinner and brunch menus. In particular, their black bean ravioli dish with chorizo sausage, sweet corn, roasted peppers, and cilantro is calling my name. And for the special pooch in your life, Sundays feature a Doggie Brunch on their patio (don’t worry there are heaters and firepits for crisp fall days). While you partake in food and libations, Cleveland pups can enjoy a bowl of water and dog treats. As with wine, tastes will vary on where you like to drink your favorite bottle and these are just a sampling. If you’re not sure where to start, lists on Urbanspoon and Metromix Cleveland can help you find your way. A Note from MissWineOH: Wow! Being relatively new to Cleveland, I learned a few things about wine bars in neighborhoods I’ve never explored. I hope you have found one to check out! Thanks, Amanda, for adding to fun and knowledge at MissWineOH. 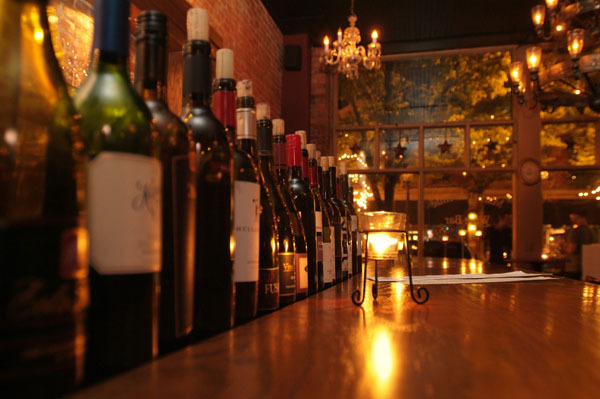 Where do you like to go for a glass of vino in Cleveland? Posted in Guest Posts, Ohio, reviews and tagged OHBlogging, wine tasting. Bookmark the permalink. Visible Voice Books and MissWineOH are teaming up on November 18 at 7pm to offer Wining at Holiday Tables – a unique pairing experience where you will be presented with 4 wines to taste and 2 perfectly paired mini-tarts to enjoy with them. This culinary treat will provide tasters with examples of how to pair multiple wines with all the holiday meals you have to tackle, without breaking the bank. As with #wineandcupcakes tastings, the tarts will be prepared by a local baker and creatively paired to enhance and compliment the wines. The BonBon Bakeshop will be providing our mini-tarts. We have some incredible flavor combinations for our four wines. True savory tarts which will perfectly compliment the holiday table. All taxes and gratuity are included in the price of admission. There are only 30 tickets available, so please purchase in advance. There is no guarantee of at the door tickets being available. All wines served will be available for retail purchase. Just click on the link below to purchase your $20 ticket now! We look forward to seeing you on November 18. Posted in events, pairings and tagged Pairing Experience, tasting, thanksgiving, wine event, wine pairing, wine tasting. Bookmark the permalink. Wine Experiences – Under $10 – is it worth it? MissWineOH spent a few weeks in North Carolina on family business, and didn’t have much time for hunting down and enjoying the usual wine experiences – we did do a fabulous wine pairing experience at City Beverage – and we’ve got more scheduled for Greensboro and Winston-Salem (and maybe Raleigh) after the first of the year – so Triad and Triangle friends, never fear, we will be back! I did set aside a bit of time to sample a few inexpensive or “budget friendly” wines. I managed 3 before I decided to enjoy the easily available beer and Crown Royal cocktails after my long days of post-surgery recovery care (not mine) and getting the honey do list completed. 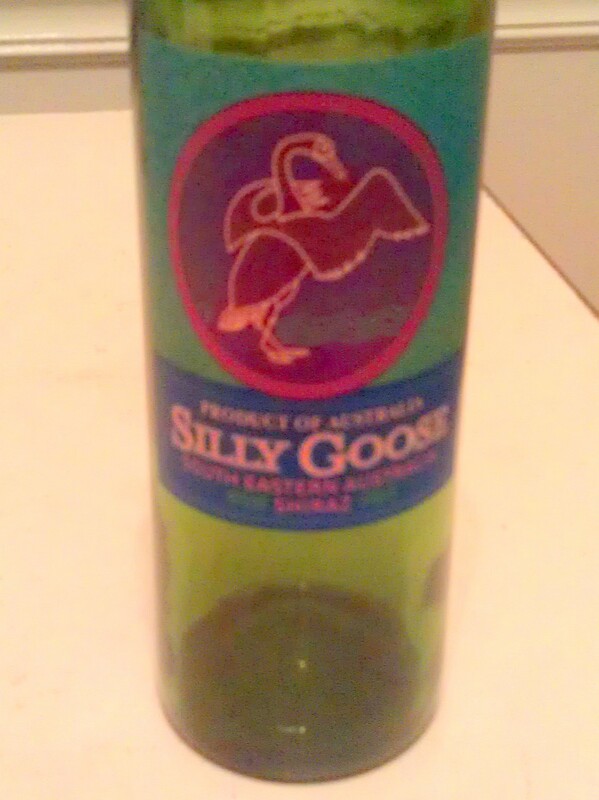 The Silly Goose Shiraz was sitting quietly on an endcap and caught my eye because… it wasn’t on sale, and had a price tag of $4.99. This is a South Eastern Australia wine and is a pretty standard young shiraz. Its got some bite, and needs to be paired with a strong cheese or a creamy alfredo perhaps to calm down that spice and pepper in the shiraz. Its got a dark berry and pepper palate – so I’d use it as a 2nd bottle at a casual dinner. I’m not sure it would be come a staple in the house, as adding a few dollars to the budget gets some more complex wines that I really enjoy – but if I’m very budget conscious – I’ll bring this one home again. 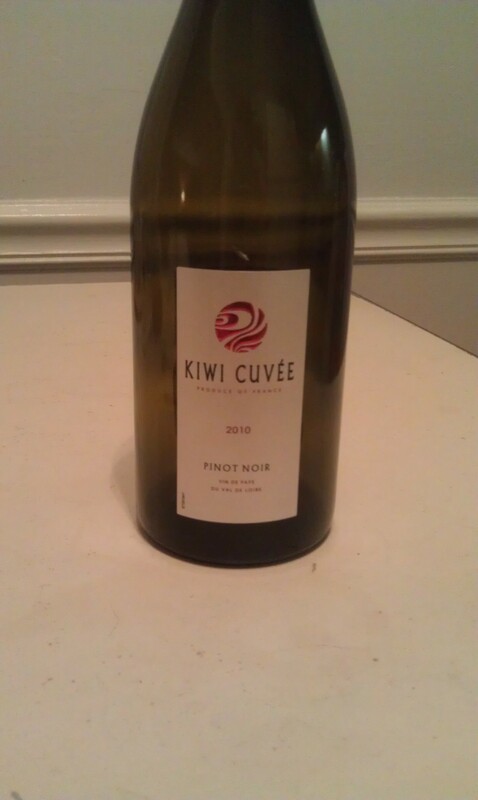 The Kiwi Cuvee is a French pinot noir made by New Zealand winemaker Rhyan Wardmann. Its bottled by Lacheteau in the Loire Valley and produced under the Vin de Pays classification. Apparently this wine is causing a bit of a brouhaha because of the name, as one might think this was a New Zealand wine at first glance, and the French have been so protective over their appellation naming. Despite a moment of confusion – easily remedied by actually READING the label – this light bodied pinot noir is cherry, with a bit of sweetness. I picked it up for $7.99, making it a contender for an every day budget friendly wine. I’m a huge fan of the blends, and there are so many available in the $10 to $15 range. The 2009 Liberty School Cuvee, a blend of 85% Syrah, 7% Cabernet Sauvignon, 3% Petite Sirah, 3% Grenache, 2% Viognier is one I snagged at the local grocery store for $10.99. Syrah gives this wine some great jamminess. the other grapes blend in seamlessly to provide structure, softness and some floral on the nose. One thing blends can always manage is to be very food friendly. and this one is no exception. Put it into the rotation for your dinner wines – it will pair well with mexican, thai or a pork tenderloin. I could see gamier dishes with this one as well. Do you have a favorite budget conscious wine? Any budget wines you wouldn’t touch with someone else’s palate? Share the good, the bad and the ugly in the comments. Posted in reviews and tagged Australian wine, budget wines, CA wine, french wine. Bookmark the permalink.